A few weeks ago, we started generating photos for our next colour and breed study. Over time, these studies have evolved and changed. When they first started, they were two distinct studies that ran concurrently but now, they are combined so that our conversations can be richer, our pocketbooks go further and we can study multiple things at once. 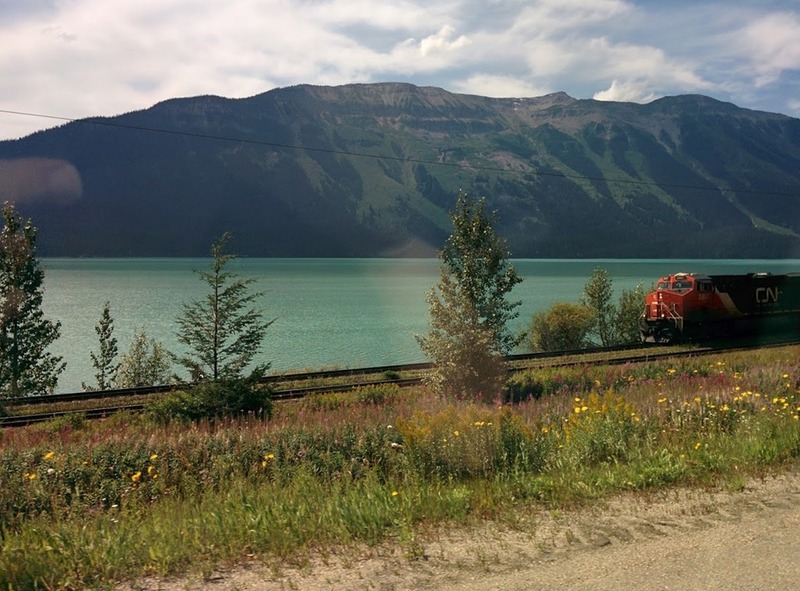 For the past few weeks, we have been generating photos and inspiration in the Ravelry group thread. Our resident dyer, Katrina of CraftyJaks Boutique, has been working behind the scenes these past few days working to come up with 3 colourways based on what you submitted for photos – I have to admit, I was pretty curious about what she’d come up with, especially since her and I had come up with a slight variation for this colour study! 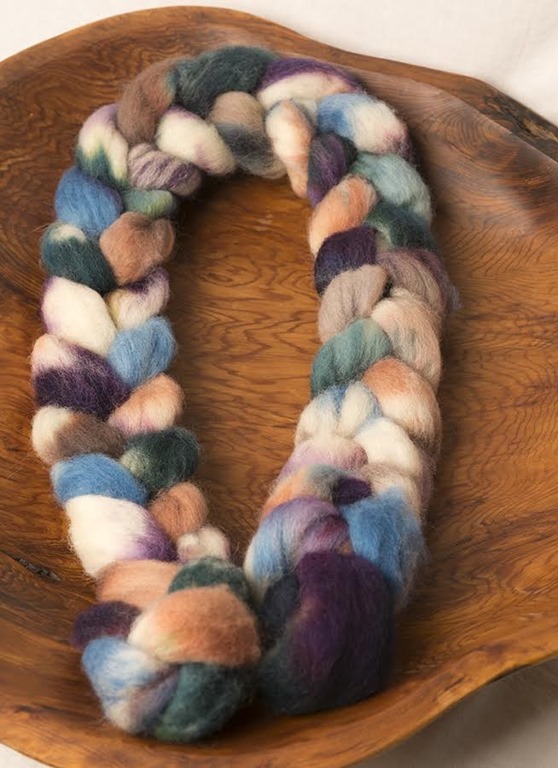 To refresh your memory, this particular colour study will be focused on combination spinning – combing the colourways in a way that pushed you out of your comfort zone to combine the braids in a way that creates a new colourway. If you would like to preserve the colourways and also do some combo-spinning, don’t worry! There’s plenty of fibre for you to order to do just that – message Katrina directly on Ravelry (craftyjaks) or through Slack (@craftyjaks)! Please remember that Patrons of the community receive an additional 10% off their purchase – procure your coupon code here! 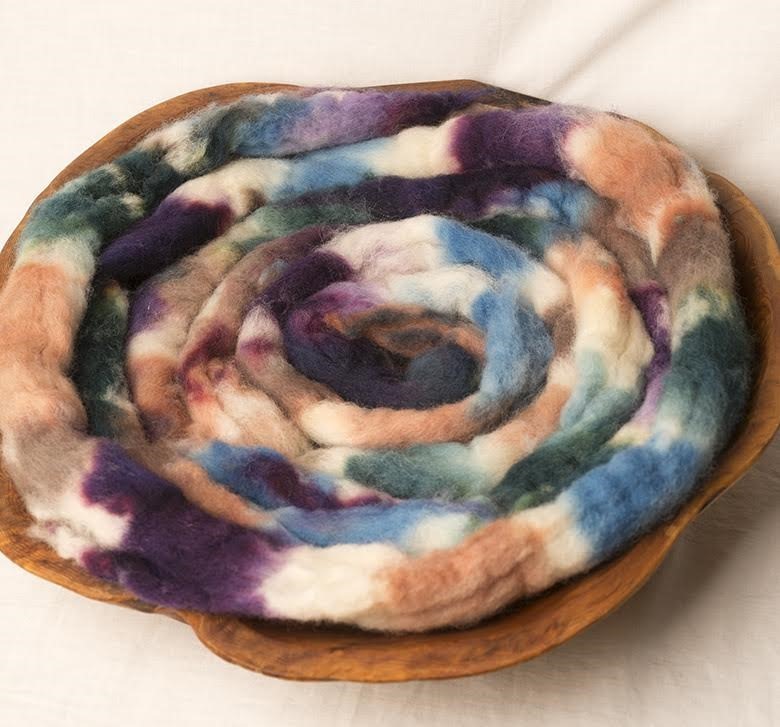 Katrina’s Etsy shop is located here and the direct link to the listing for Wool n’ Spinning Breed/Colour Study is here. I may or may not be totally in love with the subtle hint of sky-blue and darker teal-hunter-green in the braid, which add depth. The red came through just as I’d imagined and gives the braid interest. 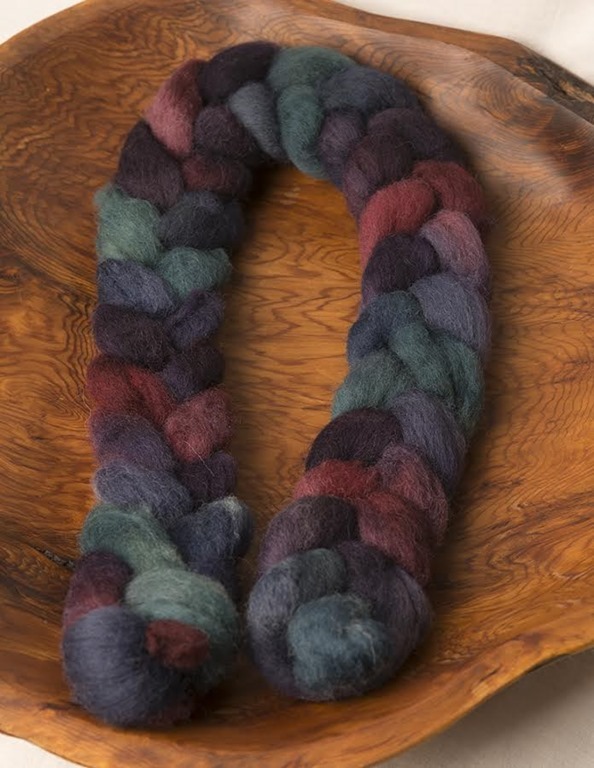 I’m seriously coveting this colourway. Aptly named, this colourway is Lakeside. 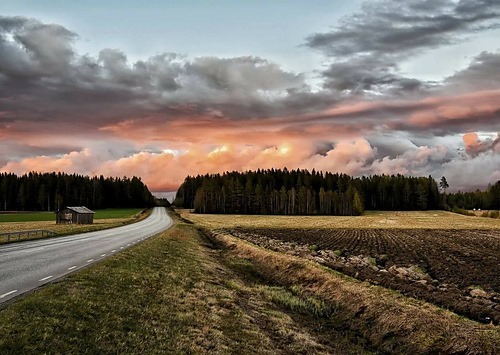 When Katrina said she’d chosen this photo, I was really interested to see what she’s create. I was wondering what she’d do with that brilliant red and lime green of the photo. In the braid, the colours are slightly muted and darker. I love the moody tones with the burgundy and red coming through, which draws the eye. 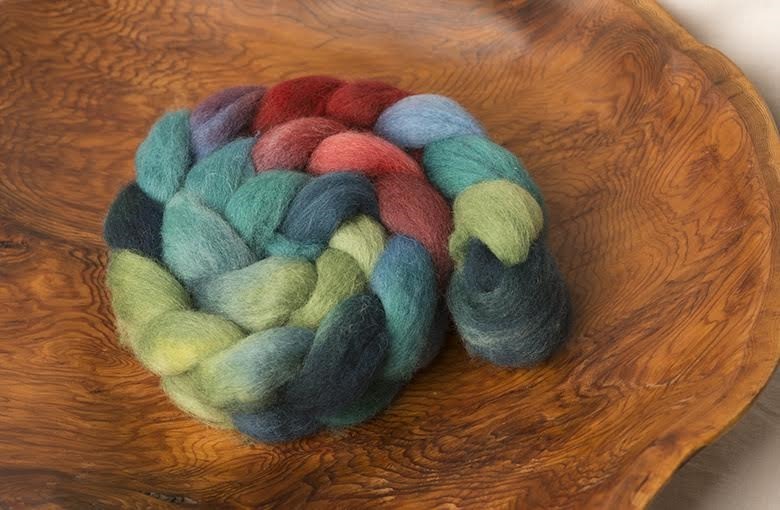 I can’t wait to see this braid spun as a traditional 2- or 3-ply. It just makes me to happy to think about! 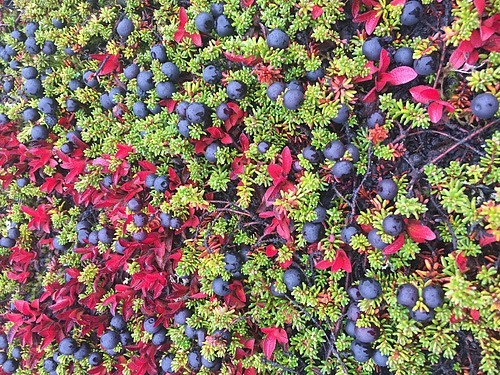 Aptly named, this colourway is Arctic Berries. What I love most about this colourway is the white that Katrina worked into the fibre. If you’ve followed the show for a while, you will know how much I love white in colourways. 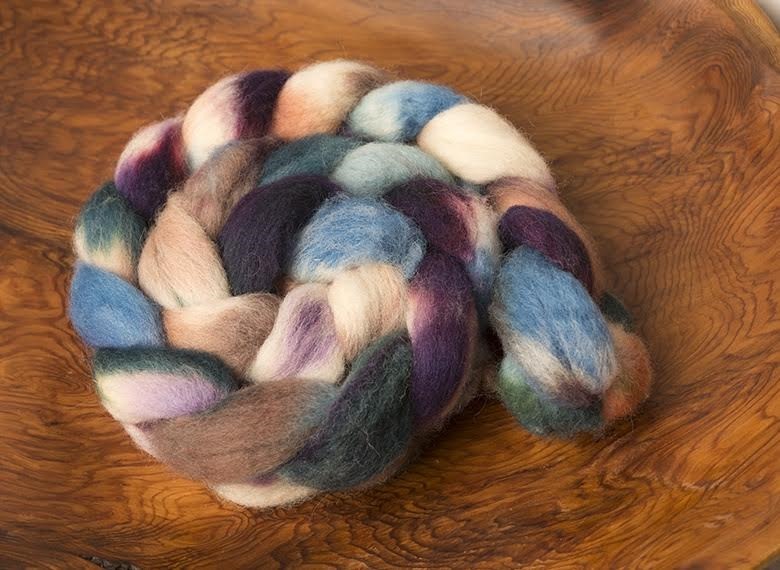 When we are spinning, the white helps to mute and blend colours so that brilliant, dark purple will blend and create a muted purple , along with the peach and blues Katrina pulled from the sky. 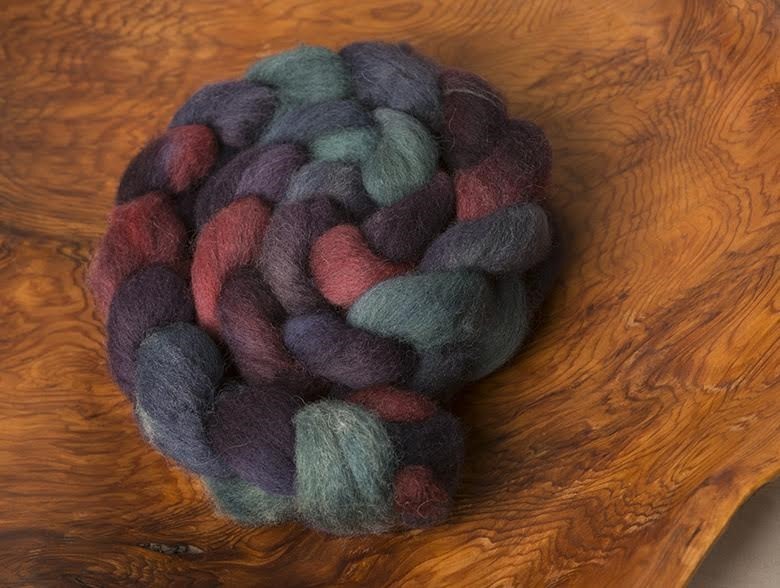 Aptly named, this colourway is Fractured Dawn. 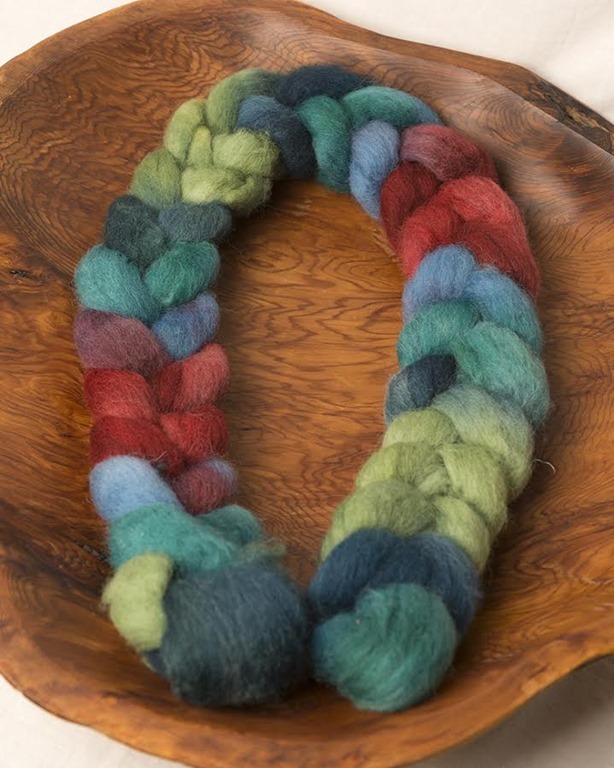 Once again, this particular colour study will be focused on combination spinning – combing the colourways in a way that pushed you out of your comfort zone to combine the braids in a way that creates a new colourway. If you would like to preserve the colourways and also do some combo-spinning, don’t worry! There’s plenty of fibre for you to order to do just that – message Katrina directly on Ravelry (craftyjaks) or through Slack (@craftyjaks)! 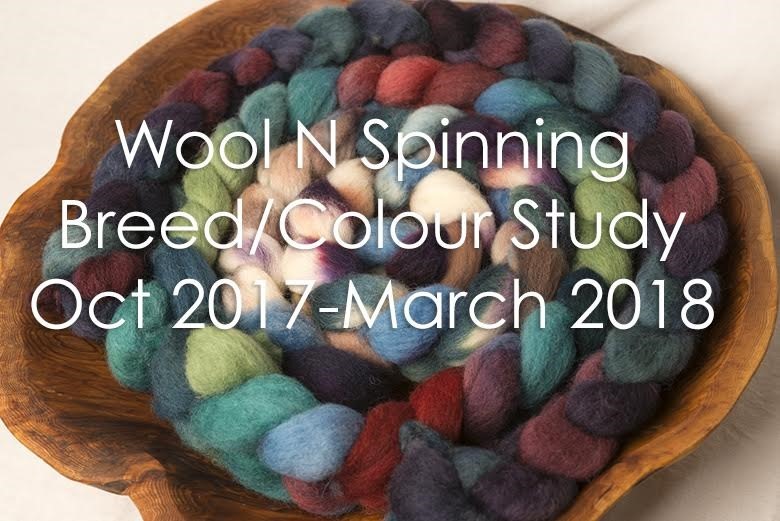 If you’d prefer not to buy fibre, please note that you are more than welcome to join us and combine your own fibres and walk alongside us as we work through combo-spinning and drafting. We’d love to have you along for the ride! 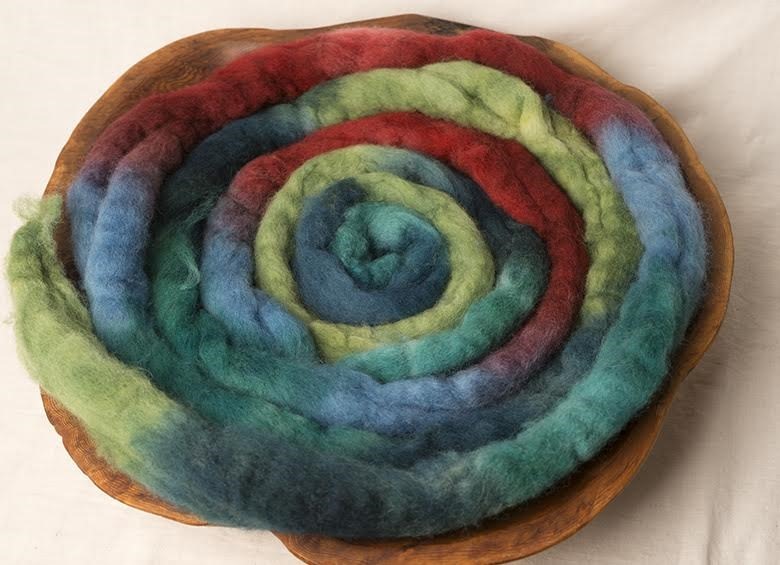 This spin-along starts as soon as you receive your fibre – please don’t feel you have to wait to start spinning. 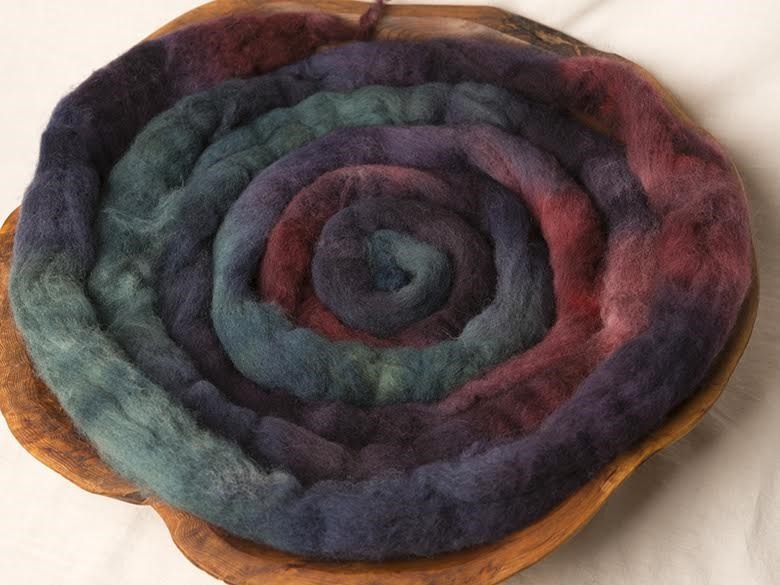 Use the momentum and excitement of the group to begin right away, share your work in the Ravelry group and happy spinning! Previous Post Extra: Happy Hallowe’en!